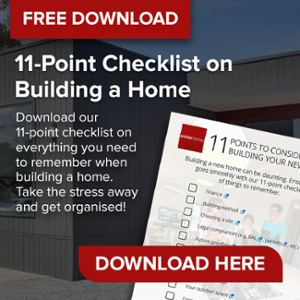 In October 2018, Rupert Bates, Editorial Director at Show house Magazine in London had a one-on-one chat with Anchor Homes's Director and CO-founder Lester Raikes. 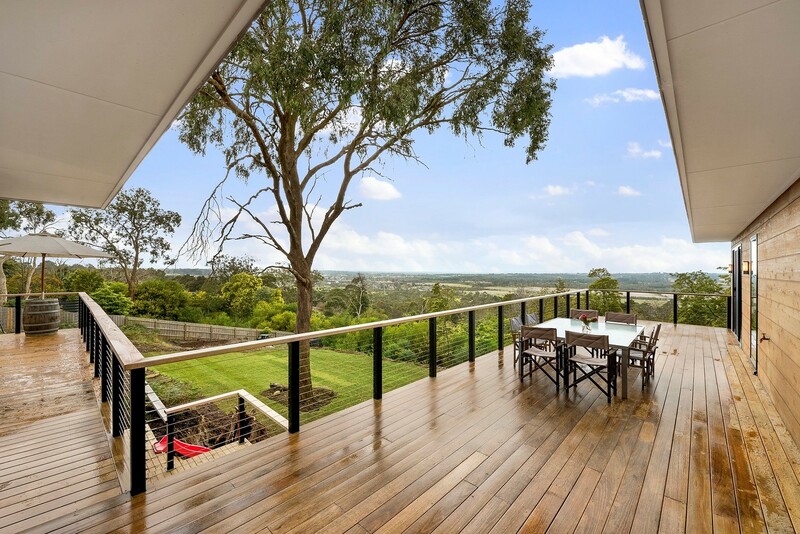 The conversation surrounded the topic of modern methods of construction in Australia and UK and highlighted the positives and challenges of building modular homes in the two respective countries. Publication title: Raising Anchor. 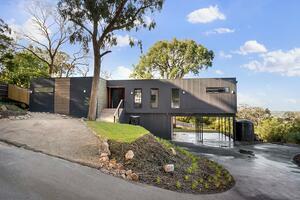 Modern methods of construction special | Australia by Show house Magazine, London. 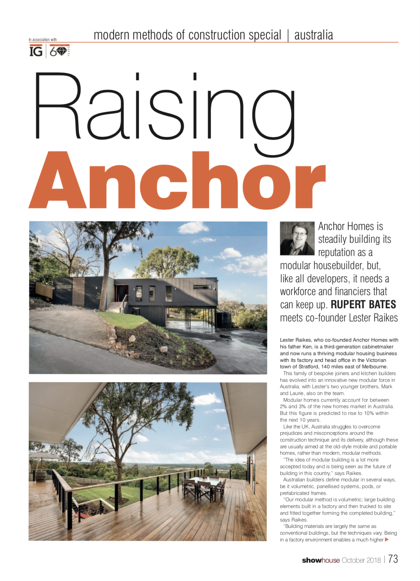 Lester Raikes, who co-founded Anchor Homes with his father Ken, is a third-generation cabinetmaker and now runs a thriving modular housing business with its factory and head office in the Victorian town of Stratford, 140 miles east of Melbourne. This family of bespoke joiners and kitchen builders has evolved into an innovative new modular force in Australia, with Lester’s two younger brothers, Mark and Laurie, also on the team. 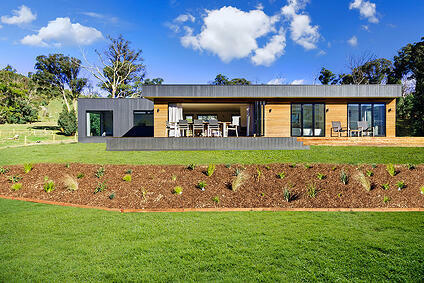 Modular homes currently account for between 2% and 3% of the new homes market in Australia. But this figure is predicted to rise to 10% within the next 10 years. 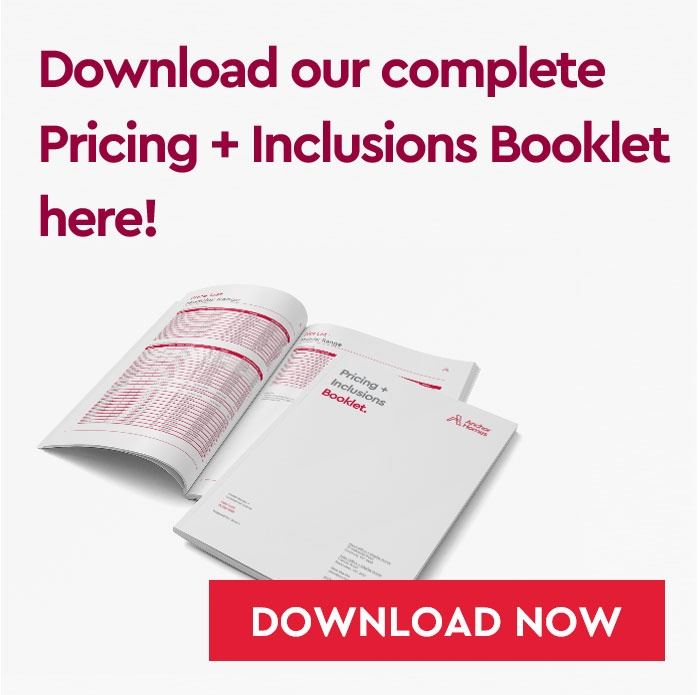 Like the UK, Australia struggles to overcome prejudices and misconceptions around the construction technique and its delivery, although these are usually aimed at the old-style mobile and portable homes, rather than modern, modular methods. “The idea of modular building is a lot more accepted today and is being seen as the future of building in this country,” says Raikes. 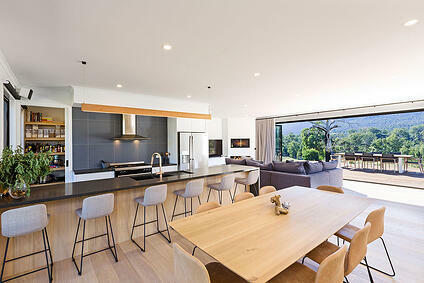 Australian builders define modular in several ways, be it volumetric, panellised systems, pods, or prefabricated frames. 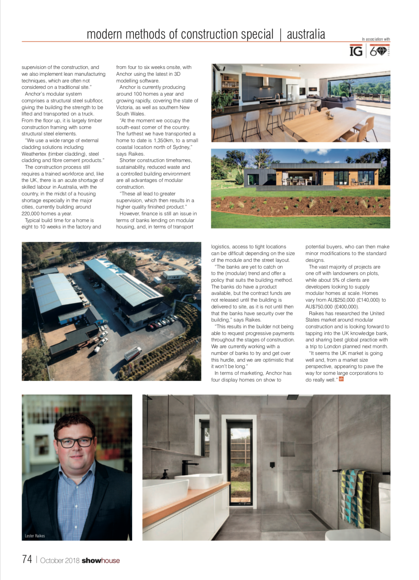 “Our modular method is volumetric; large building elements built in a factory and then trucked to site and fitted together forming the completed building,” says Raikes. Anchor’s modular system comprises a structural steel subfloor, giving the building the strength to be lifted and transported on a truck. From the floor up, it is largely timber construction framing with some structural steel elements. 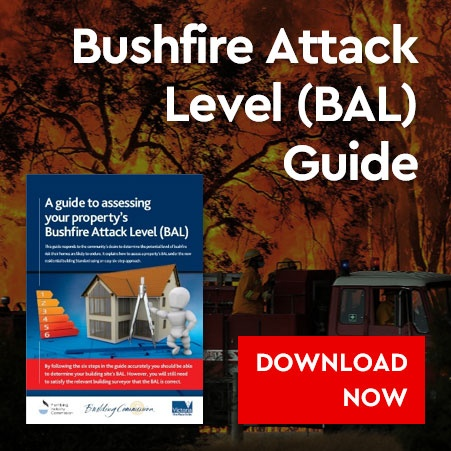 The construction process still requires a trained workforce and, like the UK, there is an acute shortage of skilled labour in Australia, with the country, in the midst of a housing shortage especially in the major cities, currently building around 220,000 homes a year. Typical build time for a home is eight to 10 weeks in the factory and from four to six weeks onsite, with Anchor using the latest in 3D modelling software. 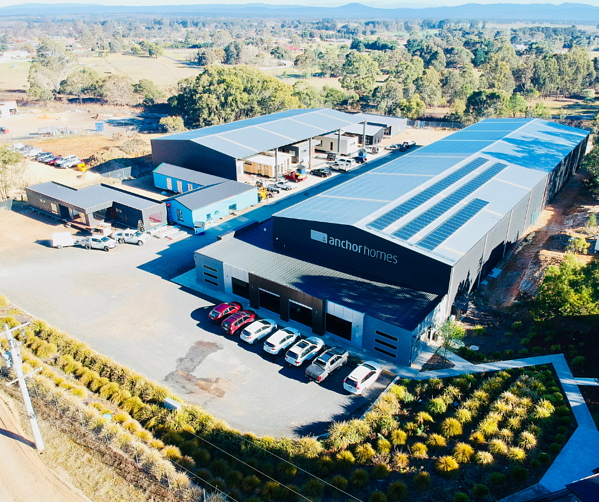 Anchor is currently producing around 100 homes a year and growing rapidly, covering the state of Victoria, as well as southern New South Wales. 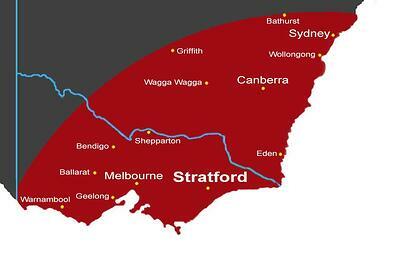 “At the moment we occupy the south-east corner of the country. 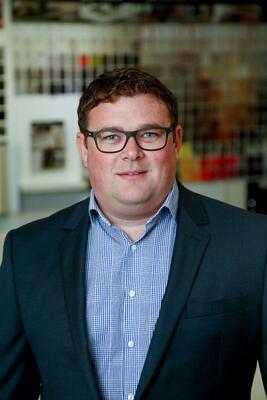 The furthest we have transported a home to date is 1,350km, to a small coastal location north of Sydney,” says Raikes. Shorter construction timeframes, sustainability, reduced waste and a controlled building environment are all advantages of modular construction. However, finance is still an issue in terms of banks lending on modular housing, and, in terms of transport logistics, access to tight locations can be difficult depending on the size of the module and the street layout. 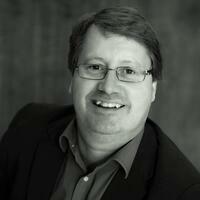 “The banks are yet to catch on to the (modular) trend and offer a policy that suits the building method. The banks do have a product available, but the contract funds are not released until the building is delivered to site, as it is not until then that the banks have security over the building,” says Raikes. 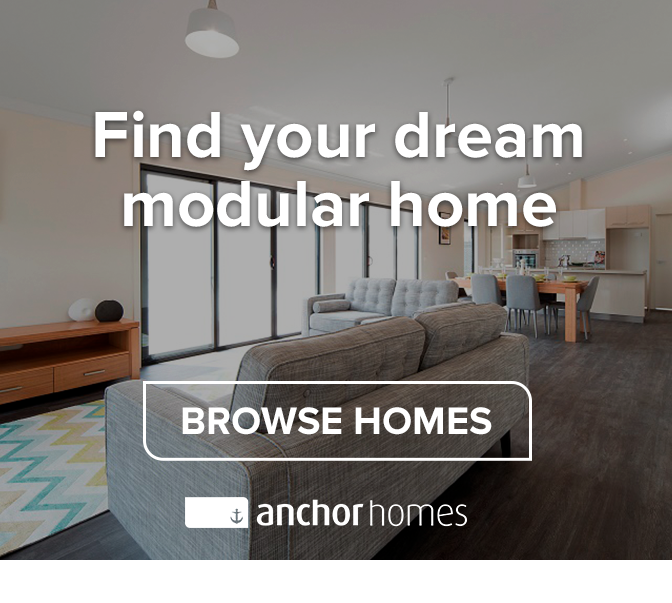 In terms of marketing, Anchor has four display homes on show to potential buyers, who can then make minor modifications to the standard designs. The vast majority of projects are one-off with landowners on plots, while about 5% of clients are developers looking to supply modular homes at scale. Homes vary from AU$250,000 (£140,000) to AU$750,000 (£400,000). Raikes has researched the United States market around modular construction and is looking forward to tapping into the UK knowledge bank, and sharing best global practice with a trip to London planned this month.